The Oneonta Public Safety Building at Main and South Market houses the fire department, as well as police and courts. ONEONTA – Negotiations between City Hall and the Oneonta Professional Firefighters have spilled out into the open. The Oneonta Professional Firefighters accused Mayor Gary Herzig of “mischaracterizing” OPF’s “advocacy for maintaining adequate staffing” of the Oneonta Fire Department in a Dec. 17 press release. OPF President Andrew Turner reiterated the Fire Department’s continuing need for “six trained firefighters…on duty 24/7” in order to keep Oneonta safe. “This is not an increase in staffing,” he emphasized. 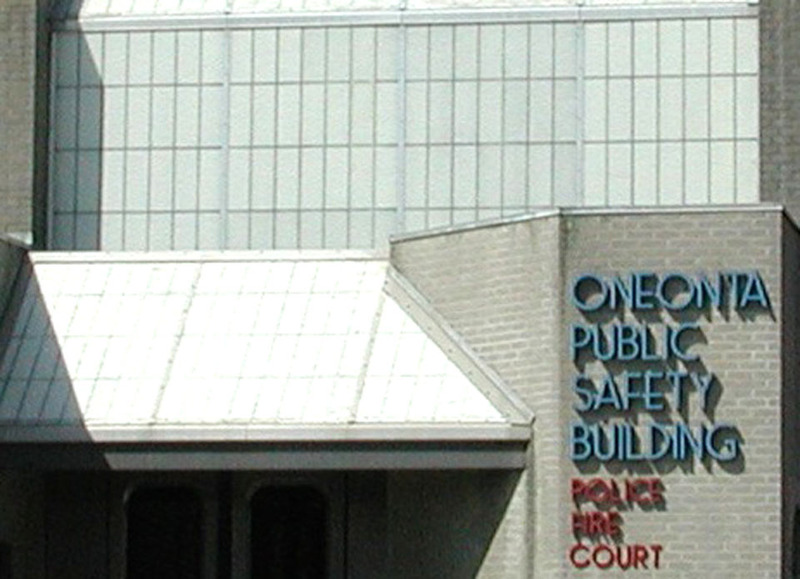 Mayor Herzig had expressed surprise on Dec. 14 in response to an ww.w.AllOtsego.com article reporting OPF had called for increased staffing in a press release the day before. He said the city is seeking “flexibility” on staffing, but declined to go into detail, saying both sides in the talks had agreed to confidentiality. The union’s public relations representative Paul Larrabee said, “There have been natural rates of attrition and the city is not maintaining that level of six on duty.” The OPF has recently made what Larrabee calls “a rather focused effort to make it clear, especially on social media” that the Oneonta Fire Department needs to continue “a long-term practice” of having six on-duty firefighters.